Contact our Mississauga dental office to learn more about our dentists or to schedule a consultation. 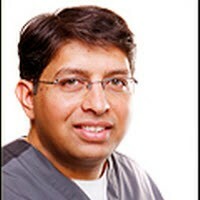 Born and raised in New Delhi India, Dr. Soota graduated from dental school in 1997. After being granted the Fellow of Academy of General Education he moved to Canada and obtained his DDS in 2002 from Dalhousie University in Nova Scotia. The South Asian Professionals of Canada awarded him the "Certificate of Excellence" for outstanding and lasting contribution in the field of medical scientology in 2004. He also successfully achieved a certificate in Implant Dentistry. Dr. Vikas enjoys spending time with his wife and two young sons. He is a huge cricket fan and an avid supporter of the Toronto Maple Leafs. He speaks English and Hindi. Dr. Nebal Hanna received her Doctor of Dental Surgery (DDS) from University of Toronto, the Faculty of Dentistry. Dr. Hanna’s passion for dentistry started in Egypt where she earned her bachelor’s degree in Dental Medicine and Surgery (BDS) with Honours from Cairo University, the Faculty of Oral and Dental Medicine. Upon her graduation from the University of Toronto, she received the Dr. Charles Hyman Moss Award for excellence in Clinical Prosthodontics. Dr. Hanna soon joined the Faculty of Dentistry at the University of Toronto as an instructor in restorative dentistry thus giving back to her school and contributing in educating and teaching future dentists. She is extremely passionate about teaching. Dr. Hanna completed her implant residency and takes pride in lifelong learning. She continues to further advance and enhance her skills and education through participation in continuing dental education programs and keeps current with technology. 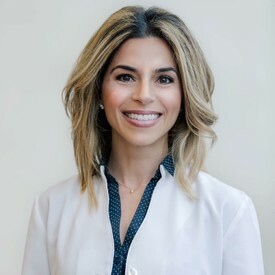 Dr. Hanna is known for her pleasing personality and aims to build genuine relationships with all her patients, making sure they understand their treatment every step of the way. She is dedicated to provide a positive experience. Her calm demeanor, patience, and approachability are sure to make you feel at ease. 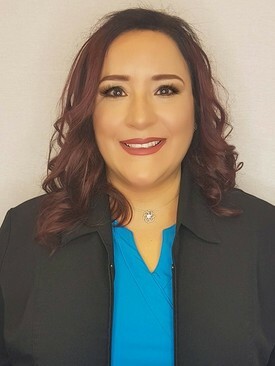 Her wealth of knowledge in dentistry enables her to proficiently provide a wide array of dental treatment, including restorative, surgical, endodontic, and prosthetic dentistry. Dr. Hanna is a member of the Academy of general dentistry (AGD), the Canadian Dental Association (CDA), the Ontario Dental Association (ODA) and the RCDSO. Besides dentistry, she enjoys reading, exploring nature, and spending precious time with her husband and two daughters. Dr. Hanna can’t wait to meet you! Brampton Periodontist, Dr. Leung grew up in Toronto, where he attended Upper Canada College for 11 years. He was an avid swimmer and badminton player in High School and led his teams to Provincial Championships. He attended New York University where he received degrees in Finance and Biochemistry. He loved his years in New York, as he has a great passion for art galleries, museums and the New York Yankees. After college, he moved to Philadelphia where he attended the University of Pennsylvania School of Dental Medicine, receiving both his doctorate and periodontics training. After 11 years away from Toronto, David moved back home where he finally has more time for his hobbies. He is also an avid cook - particularly in Asian seafood cuisine and he loves trying out new sushi restaurants. He also enjoys working out and playing softball in a local church league. Dr. Park completed her Doctor of Dental Surgery (DDS) degree at the Faculty of Dentistry, University of Toronto. Upon graduation, she earned her degree with honours and was also awarded Albert E. Webster Memorial Scholarship, which is given to the most outstanding student in clinical Restorative Dentistry of the year. 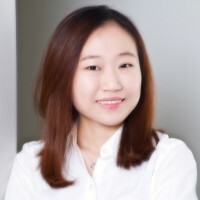 Dr. Park has particular interests in Cosmetic Dentistry, Endodontics (root canal treatment), and Oral Surgery, having taken many continuing education courses to broaden her scope of practice. She is an advocate for patient-centred dental care, being easily approachable and caring for her patients. 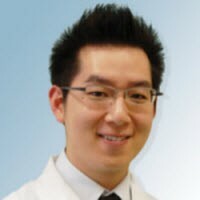 Dr. Park holds certifications in Conscious Sedation Modalities (nitrous oxide, oral sedation) and Cardiopulmonary Resuscitation (CPR) and is a member of the Academy of General Dentistry (AGD), the Canadian Dental Association (CDA), the Ontario Dental Association (ODA), and the Royal College of Dental Surgeons of Ontario (RCDSO). In her spare time, Dr. Park enjoys spending time with her family, traveling, and painting. "Dr. Millie Calko was born and raised in Toronto. She obtained her Doctor of Dental Surgery Degree with the University of Toronto in 2001. She has enjoyed a wonderful career of providing dental care to her patients in both owner and associate roles, within private practice. Dr. Calko has practiced in Toronto, Brampton, and Durham since graduating, where she has had the pleasure of helping patients achieve and maintain beautiful, healthy smiles. She is a licensed member in good standing with the Royal College of Dental Surgeons of Ontario and the Ontario Dental Association. She has committed herself to providing her patients with optimal care through her regular participation in ongoing accredited Continuing Education Courses to stay current and enhance her clinical skills and knowledge. She is meticulous in her efforts and strives to make each visit as comfortable as possible. Dr. Calko believes in a balanced lifestyle. When not in practice, she feels so fortunate to spend time with her two wonderful children and family. She has a real passion for healthy living and cooking with new recipes. Other smiles come from hiking, ice skating, yoga and turning the pages of a great book." 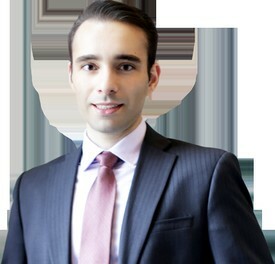 Dr. Nima Mir (Mirmoghtadaei) attended York University and upon earning his Bachelor of Science (B.Sc.) with Honours, he decided to pursue the rest of his education away from home. He completed his Doctorate of Dental Surgery (D.D.S.) degree at the prestigious University of Southern California (USC) in downtown Los Angeles, California. He then completed his Certificate in Orthodontics and Dentofacial Orthopedics, as well as Master of Science (M.Sc.) in Oral Biology at the University of Nebraska Medical Center (UNMC). Dr. Mir is a Fellow of the Royal College of Dentists of Canada FRCD(C) and holds qualifications to practice in both the United States and Canada. Dr. Mir’s professional affiliations include the Canadian Association of Orthodontics, American Association of Orthodontics, and Ontario Dental Association. Dr. Mir says he became an orthodontist because he “found the diagnostic, treatment intricacies, function and aesthetic enhancements to be very fascinating.. I enjoy being a part of the positive transformation in people’s lives with beautiful, confident and healthy smiles.” Dr. Mir deeply cares for all his patients, including the underserved populations and understands the value of philanthropy. During the years, he has delivered dental care to those in need in Panama (Bocas Del Toro), Costa Rica, and Nicaragua, in addition to local areas. Dr. Mir was inducted into the Omicron Kappa Upsilon (OKU) national dental honour society for demonstrating exemplary traits of character and potential qualities for future professional growth and attainments in the field of dentistry. He has received numerous awards, such as the OKU Donald C. Curnette Memorial Scholarship (2011), The Clifton O. Dummet & Malik Ethics Award (2011), OKU Charles O’Grady Memorial Scholarship (2010), Nathan A. Styrt Scholarship Award (2010), Alpha Omega Presidential Award (2010), and OKU Dexter Smith Memorial Scholarship (2009). At his leisure, Dr. Mir enjoys traveling, exercising, and spending time with his family.